A century ago, a group of British explorers led by Captain Robert Falcon Scott set out to reach the South Pole, only to find that a Norwegian team had planted its flag there several weeks earlier. 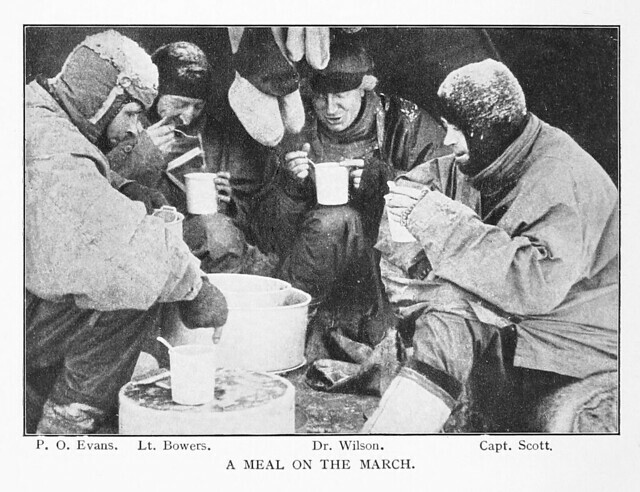 Scott and his four men never made it back, succumbing to cold, starvation and exhaustion. 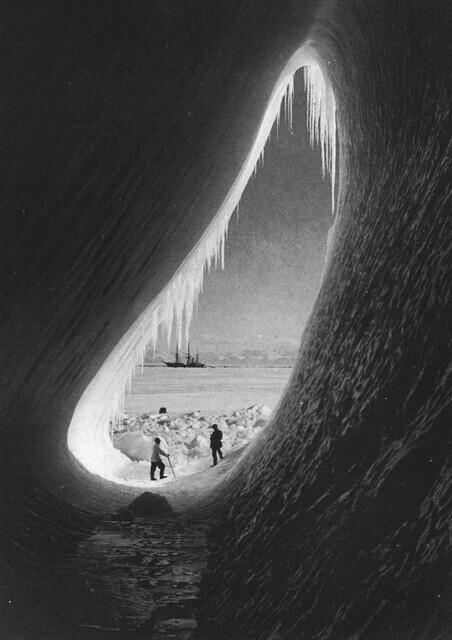 But photographer Herbert Ponting, who accompanied them through much of their Antarctic journey, captured the region and its explorers in striking detail. via Remembering Scott | The Public Domain Review. Herbert Ponting. Public Domain Review. CC By -SA 2.0. Of course, such a snug wardrobe wasn’t always practical: “When working the camera I would remove both pairs of mits until my hands began to chill in the woollen gloves; then bury them again in the warm fur and beat them together until they glowed again,” Ponting writes. “But my fingers often became so numbed that I had to nurse them back to life by thrusting my hands inside my clothing, in contact with the warm flesh. Photographer: Herbert Ponting. Public Domain Review. CC By -SA 2.0. 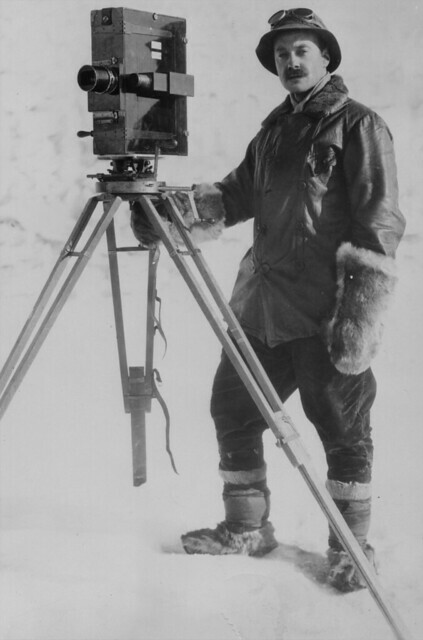 This entry was posted in Uncategorized and tagged Antarctic, Captain Robert Scott, expedition, Herbert Ponting, photographs, research, South Pole by Susan Frith. Bookmark the permalink.